Canelo Alvarez will be taking on another Brit in Liam Smith for his upcoming PPV bout at the AT&T Stadium in Arlington Texas on Saturday, 17th September 2016. Liam Smith will be fighting for the first time outside the UK and he will be defending his WBO middle-weight crown. 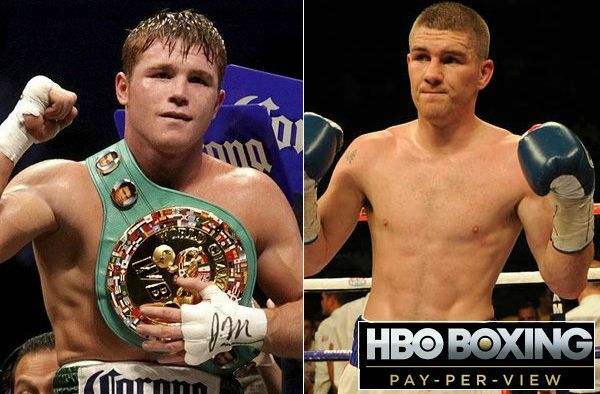 Not many people like the idea of Canelo fighting Liam Smith who although holds WBO middle-weight title has never fought against elite opposition and putting this fight on PPV in 80,000 capacity stadium is not much a good news for both HBO and Canelo Camp. Alvarez is coming into this fight on the back of knockout win over Amir Khan and we can expect a similar result against Liam Smith on 17th September 2016. Canelo Alvarez is widely tipped to face Gennady Golovkin but its unclear when that fight will happen. Golovkin himself is fighting on 10th September 2016 in the United Kingdom against another Brith Kell Brook. Below are the details for upcoming Canelo Alvarez vs Liam Smith Fight. BROADCASTING HBO (PPV) will cover the fight night in the US priced at $59.95. While United Kingdom viewers can tune in on SkySports 1 (regular subscription) channel. TITLES Liam Smith’s WBO Super Walterweight title is on the line. TICKETS Tickets will be available via ticketmaster.com and stubhub.com. Liam Smith comes into this fight with a unbeaten record of 23 wins of 24 fights with 1 draw and 13 knockouts. To be fair Amir Khan had a much bigger shot at getting Alvarez into trouble than Liam Smith will ever do. Its another miss match where Canelo will walkthrough Liam Smith inside first 6 rounds. Having said that Liam Smith is pretty much unknown commodity for US viewers who has not fought any big name so far in his career infact never fought outside the UK. So he is a complete outsider going into the fight. As far as Canelo is concerned he is taking it as another tune-up fight for bigger names like Gennady Golovkin which might happen sometime next year.